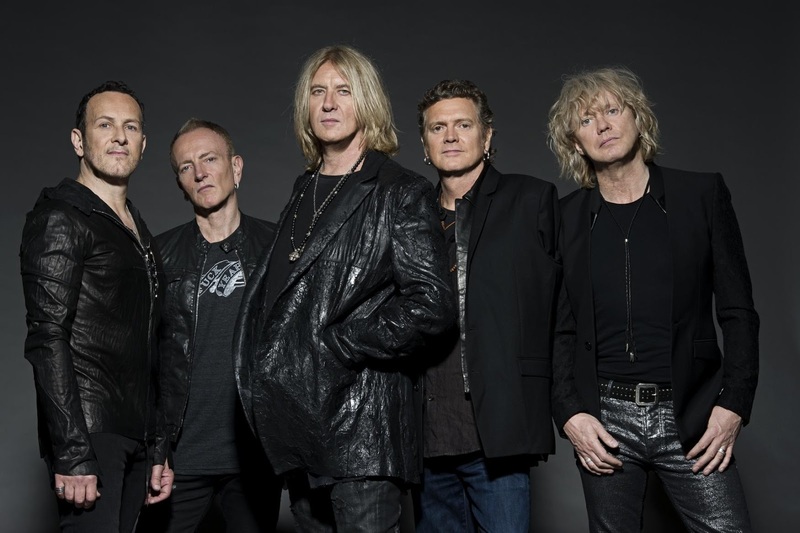 Def Leppard are streaming a cover of the Depeche Mode classic, “Personal Jesus”, as one of two songs recorded for the Spotify Singles series. The UK rockers recorded the cover alongside their 1987 smash, “Hysteria”, during a May 16 session at the streaming service’s studio in New York. The lead single from Depeche Mode’s seventh record, 1990’s “Violator”, reached No. 28 on the US Billboard Hot 100 while the project delivered the group their first US Top 10 album. “Hysteria” was the fourth of seven singles from Def Leppard’s 1987 album of the same name; the tune hit No. 10 on the Billboard Hot 100 while the project went on to become the group’s most successful release with more than 25 million copies sold worldwide, including 12 million in the States alone. Launched last year, the Spotify Singles series features artists recording at least two live songs — an original and a cover — for exclusively streaming on the site. Def Leppard are currently playing co-headline dates on a North American tour with Journey that is scheduled to wrap up in Los Angeles in early October.